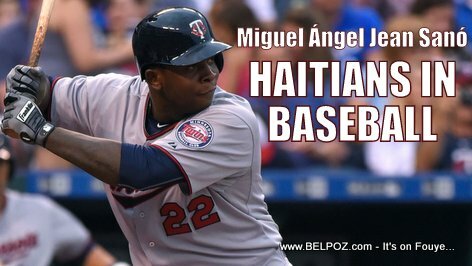 Miguel Angel Jean Sano is a Haitian-Dominican professional baseball designated hitter and right fielder for the Minnesota Twins of Major League Baseball (MLB). Miguel Sano was born in San Pedro de Macorís, Dominican Republic. His mother, Melania Jean, was born in San Pedro de Macoris to legally settled Haitian parents.